Frankel, so impressive when tried over 10 furlongs for the first time in the Juddmonte International at York on August 22, has joined Camelot at the top of the latest point standings for the 2012 Cartier Horse Of The Year Award. It now looks a two-horse race between these unbeaten and outstanding performers for top Cartier honours this year, barring completely unforeseen happenings. 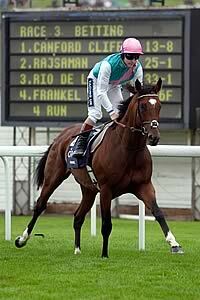 But the world’s highest-rated racehorse Frankel, who was Cartier Horse Of The Year & Cartier Three-Year-Old Colt in 2011 and Cartier Two-Year-Old Colt in 2010, must be odds-on favourite to triumph again, such was his demolition of a high-class field at York. The Cartier Racing Awards are in their 22nd year, having been established in 1991 to reward excellence in horseracing. They are determined by points earned by horses in Pattern races throughout 2012, combined at the end of season with the opinions of a panel of racing journalists and votes from readers of the Racing Post and The Daily Telegraph. Four-year-old Frankel, owned by Prince Khalid Abdulla, trained by Sir Henry Cecil and ridden by Tom Queally, extended his unbeaten run to 13 at York. He and three-year-old Camelot, unbeaten in five starts, both have 144 points, well clear of consistent three-year-old filly The Fugue on 82. Frankel holds a dominant lead in the 2012 Cartier Older Horse category, followed by the retired So You Think on 78 and Cirrus Des Aigles on 72. Camelot, owned by a Coolmore partnership, trained by Aidan O’Brien and ridden by Joseph O’Brien, is on target for the Ladbrokes St Leger over an extended 14 furlongs, the final British Classic of the season, at Doncaster on September 15. If successful there, he will become the first colt to achieve the British Triple Crown since Nijinsky in 1970 following success in the mile QIPCO 2,000 Guineas at Newmarket in May and the 12-furlong Investec Derby at Epsom Downs the following month. After Doncaster, there is the intriguing possibility that Frankel and Camelot could run against each other in either the 12-furlong Qatar Prix de l’Arc de Triomphe at Longchamp on October 7 or the 10-furlong QIPCO Champion Stakes at Ascot on October 20. Camelot is miles ahead of the chasing pack for the Cartier Three-Year-Old Colt Award - Prix du Jockey Club hero Saonois (58), St James’s Palace Stakes winner Most Improved (48) and the Andre Fabre-trained and Godolphin-owned Saint Baudolino (48). 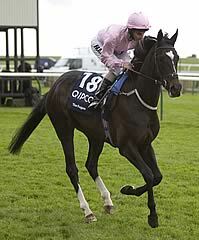 The Fugue (82) maintained her lead in the Cartier Three-Year-Old Filly category over Investec Oaks scorer Was (68) after they finished second and third to French raider Shareta in the Group One Darley Yorkshire Oaks at York on August 23. The Cartier Stayer Award is dominated by Godolphin, with Gold Cup winner Colour Vision (60) and Opinion Poll (36) in first and second ahead of last week’s York disappointment Saddler’s Rock (28). Mayson and Moonlight Cloud, both with 56, head the points tally in the Cartier Sprinter Award but Australian seven-year-old mare Ortensia (54) came within striking range after her devastating turn of foot earned her success in the Group One Coolmore Nunthorpe Stakes over five furlongs at York last week. Fellow Australian star Black Caviar has 48 points. 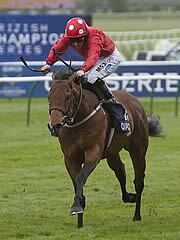 The Group One Betfred Sprint Cup at Haydock Park on September 8 is the next major sprint race. The Clive Cox-trained Reckless Abandon (64), who won the Group One Darley Prix Morny at Deauville on August 19 after a duo of Group Two wins, holds a definite advantage from Olympic Glory (40) in the race for the Cartier Two-Year-Old Colt Award, while Sendmylovetorose (24) is just ahead in the Cartier Two-Year-Old Filly standings. Harry Herbert, Cartier’s racing consultant, commented: “Frankel is an outstanding horse by any measure and it was thrilling to see him perform so brilliantly over a mile and a quarter at York.